We offer high quality services in steel roofing in London, Ontario, providing solutions that are right for your residential or commercial development. Through selecting steel roof panels, you will ensure that you do not have to re-roof in the near future as they are not only affordable but also highly durable to the elements and long-lasting. In addition, your roof will never look more attractive as it will be when we're finished with it, adding curb appeal. We offer an abundant selection of colours and styles, sure to provide you with a match to add to your home's appearance and exterior. When you choose Steel-Roofers to put on your roof in London, we give you the peace of mind of knowing that the job's going to be done right. 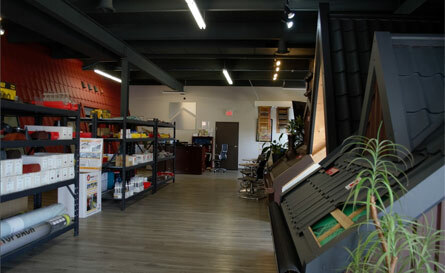 We serve all of southern Ontario, installing steel roofing and metal roofing productions from Toronto to Ottawa and beyond, having overseen thousands of installations on all building types. We advise anyone looking for a roofing contractor in London to visit our showroom where you can view our products in-person and speak to a member of our staff who would be happy to assist with any questions you may have.